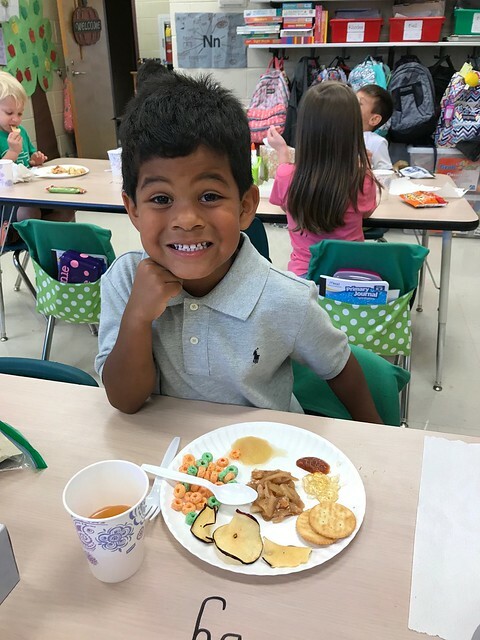 This week Moseby’s kindergarten class has been doing an apple unit. Yesterday they had an apple tasting party and each child was assigned an item to bring in. 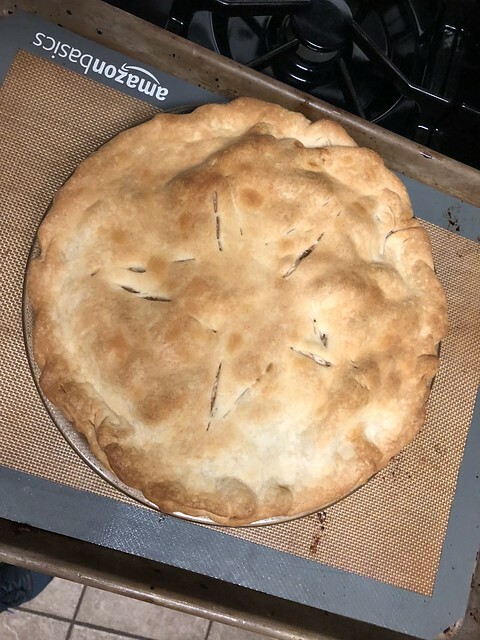 Moseby was asked to bring in an apple pie (I think his teacher knows his mama bakes just a little, haha!) so I made this one last night. 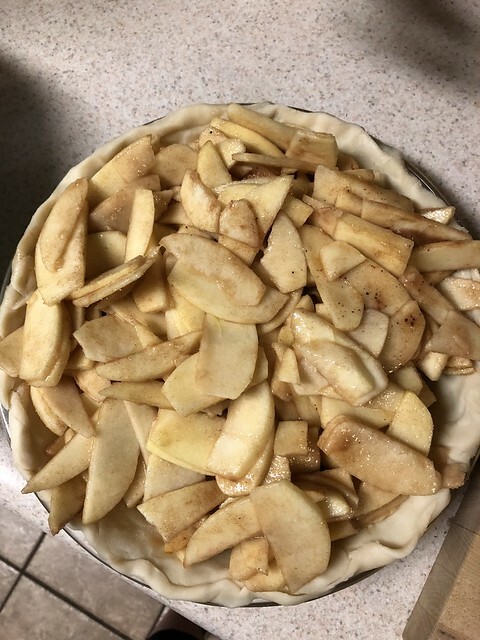 I used Honey Crisp apples sliced very thinly that my parents picked up for me at the Atlanta Farmers’ Market and store-bought pie crust (because, come on, they’re kindergarteners!). 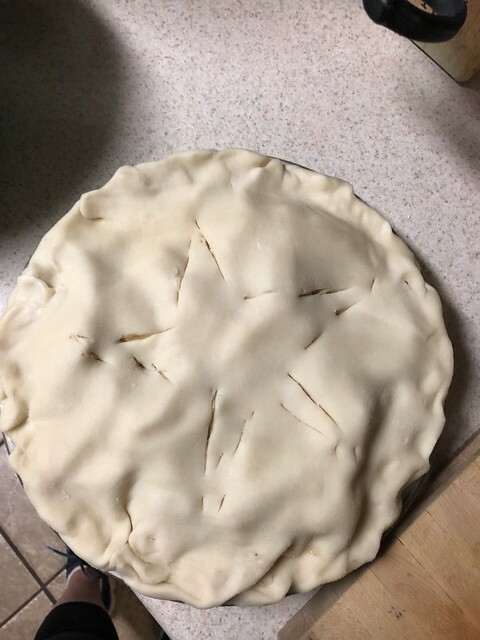 Hint: make sure to cover the crust edges with foil halfway through baking so it doesn’t brown too much. And it turned out pretty good, if I do say so myself!